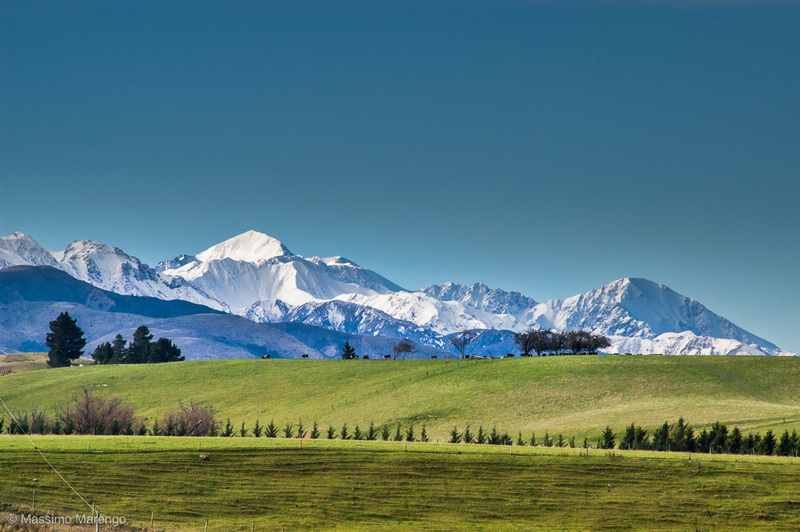 Do you remember the green meadows crowned by white mountains in the Lord of the Rings Movie? Well, it is no mystery that the movie was shot in New Zealand, fueling a renewed touristic industry of movie fans wanting to see Middle Earth with their own eyes. What I wasn’t fully prepared at, however, was to discover that the kind of landscapes immortalized in the movie are actually real. New Zealand is breathtakingly beautiful as depicted in the Jacksonian visual epic (or equivalently in the watercolors by Alan Lee and John Howe). Being there at the beginning of winter helped. Not just because there were not many tourists around (too late for the warm summer but still to early for the skiing season), but also because fresh snow on top of these mountains gives them a whole different dimension. I took this picture while driving on Route 70, between Waipara and Kaikoura. 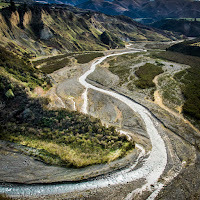 The route is part of the Alpine Pacific Triangle, a wine region north of Christchurch at the feet of the Southern Alps, facing the open Pacific. The area is a known touristic destination, not just for its wineries, but also because of thermal springs, and many opportunities for gentle hiking and marine mammals (whales and dolphins) sightseeing. One can follow Route 70 up to Kaikoura, and then come back to Christchurch along the coast, on Route 1. Route 70 must be full of cars in Summer, but as I was driving on it on the eve of winter, it was an almost uninterrupted empty road, with very little other cars interrupting the illusion of really driving in the land of the Hobbits, and Elves. Route 1, on the other end, was pretty trafficked, and annoying. If I had known I would have probably driven on Route 70 also on the way back, but Route 1 was however faster, and allowed me to get back to Christchurch before the early sunset, in time for Mayli's conference dinner.